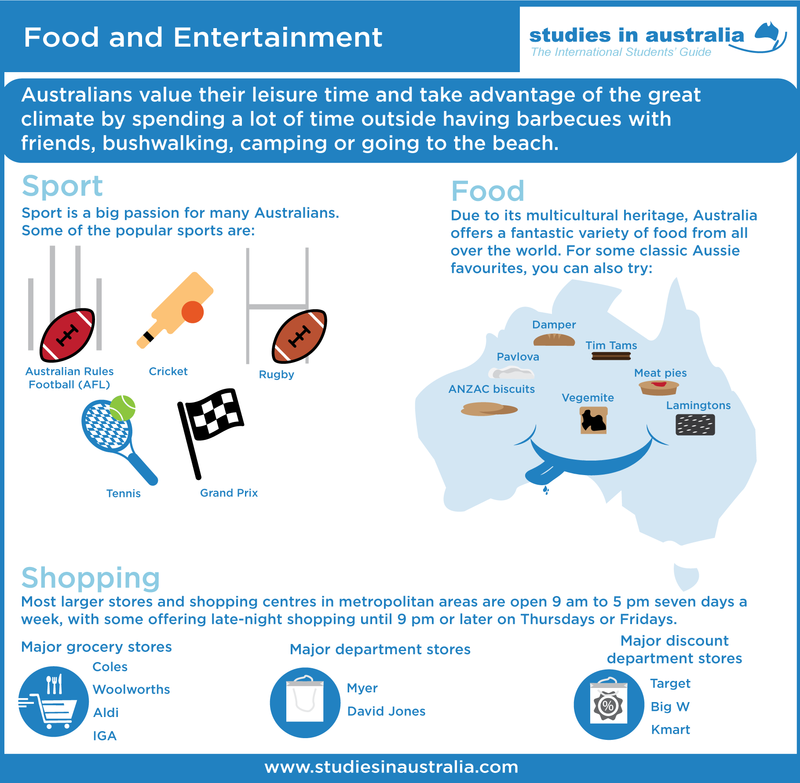 Australians value their leisure time and take advantage of the great climate by spending a lot of time outside having barbeques with friends, bushwalking, camping or going to the beach. They also like to shop, dine out and go to the cinemas in their leisure time. Sport is a big passion for many Australians, especially home-grown Australian Rules Football (AFL), cricket, rugby and tennis. Joining a sporting club is a great way to make friends. 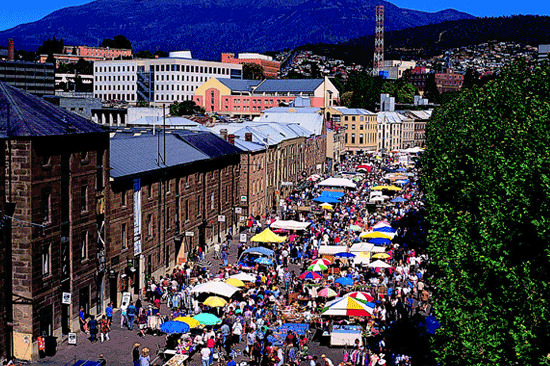 Australia also has a vibrant cultural scene, with music, arts and food festivals held throughout the year. A good way to get started is to see what kind of social activities are organised by your education provider. Australians love to shop. Major towns and capital cities have shopping facilities such as supermarkets, convenience stores, markets, department stores, discount stores, chain retailers and small luxury boutiques. Shopping destinations include shopping centres and malls, as well as outdoor shopping strips. Most larger stores and shopping centres in metropolitan areas are open from 9 am to 5 pm seven days a week, with some offering late-night shopping until 9 pm or later on Thursdays or Fridays. Other retailers may have more limited hours or close on weekends. Some supermarkets and convenience stores are open 24 hours a day, seven days a week. Major grocery stores in Australia include Coles, Woolworths, Aldi and IGA; major department stores include Myer and David Jones; and major discount department stores include Target, Big W and Kmart. Due to its multicultural heritage, Australia offers a fantastic variety of food from all over the world at restaurants, cafés and takeaway shops. Each wave of immigrants brought new food and customs with them - European migrants introduced espresso coffee, the Vietnamese brought pho and migrants from India brought spicy curries. Whatever cuisine you feel like, you will find it in most parts of Australia. Australia is also renowned for its high-quality fresh produce (including meat, seafood, dairy, wine, fruit and vegetables), which is available at markets and supermarkets. Bakeries, butchers shops, fruit and vegetable shops, delicatessens, international food stores and other specialty food shops are common throughout the country, so it won't be difficult to find everything you need to cook your favourite foods at home.